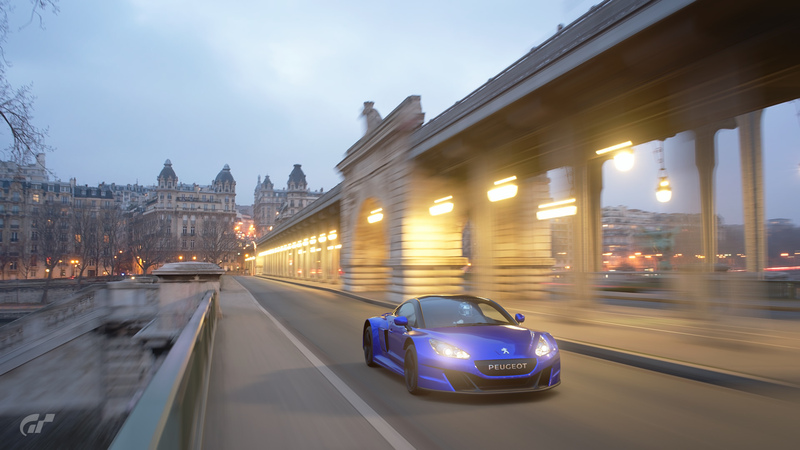 This article was published by Andrew Evans (@Famine) on October 16th, 2018 in the Gran Turismo Sport category. ProjectF, IngRobNy and MMX like this. SkillfulTwit, baldgye, ProjectF and 5 others like this. PD sure likes Pink, Purple and Green. Still would like to see them expand the W, and K lines. a K5 or higher chrome would be sweet. Skyline_R34 and BasherB59 like this. I just don’t get why they don’t have a greater selection of decals, accessories etc. Window banners in particular would be welcome. jaytmtb, Vader86, ZGBox and 4 others like this. Tidgney, NaketWookie and FA Racing like this. I didn't have this colour: Performance Blue – 500 Mi, it's for the Ford Focus ST 2015, is it new or is it from the beginning of the milage exchange? Admittedly in the back seat, but even in 1985 they were Pugs. So potentially 24. Of course there's no reason why PD won't suddenly B/P Darks beyond 5 (there's G6 and G7 Darks for two from three Dark finishes), or go crazy with some R4+, O3+ or Y5+ colours, so nothing above is set in stone. So we're down to five gaps, eight tails and four other but less likely tails. fastone371, ProjectF, Janifourc3 and 2 others like this. Animedeaf and Skyline_R34 like this. There's been a few golds, usually Y Chrome or Small Flakes. That's not a Mileage Exchange car. daibon and IngRobNy like this. Gold the licence tests. It's not difficult. daibon, Animedeaf, dimassa19 and 2 others like this. Now you're showing your age haha ! Although Alexs 205 was awesome when he took us for a play around Silverstone (Literally around, on the road where you get to places) . Has the RCZ appeared in black before? I don't remember. That's something i had never considered! That would be a pretty good idea! There could also be different coloured brake calipers! ca18detsilvia and C5-R_Racer_84 like this. IF this specific car is given away for license tests. I have already golded those license tests and the status shows it...so if I try again, would it issue me another car? I doubt it, so this means, I am permanently not having this car? Do our previously purchased paint chips become obsolete or something? I have been playing almost daily for almost 11 months now and I know since the 4th week at least I have purchased all of the paint chips made available every week without fail but it seems like some of the paint chips I purchase I have already purchased. I dont think a week has gone by when there were at least 4 I did not have to purchase. Supposedly we haven't bought them all yet. I guess we need 100 different shades of blue and green and yet on some you can't tell the difference between them. Would be nice if they would add some blacks like black with metal flakes or how about some different color Carbon Fiber paint chips. It seems like I bought at least 20 fluorescent greens so far. Cute car. Just need the last one in a fortnight and got all since returning. Glad they kept these, though understand the complaints that It's a thin roster stashed in here. Hopefully one day more comes. I've been sitting here this morning thinking "Oh, they're late with the update." and I've just noticed that the date at the bottom has changed (now says 23/10 - 30/10) but the MiEx contents have not updated in any way. palqo and Izain like this. palqo, HACHIR0KU, Mike-ZENKAI and 3 others like this. Yeah, I turned the game on at 730pm thinking it'd update. Nope. So I played until 8pm. Nope. ABO___MALAK and palqo like this. Must've been a late night party at PD HQ last night. Now they're all asleep at their desks. Looks like its every two weeks now then. Maybe they're busy finishing some new decals. They're busy getting Spa and Laguna Seca and Deep Forest and Grand Valley and my Tommykaira ZZII ready for the next update. palqo, jaytmtb, HACHIR0KU and 6 others like this. Maybe prepping Mileage Exhange v2 for the 1 Year Anniversary update? Lots of new wheels, poses, paints, etc. BasherB59, palqo, Thorin Cain and 11 others like this. I hope so, I've been waiting for months for Polyphony to finally include a down arrow in the weekly update and again and again I feel the disappointment since they only include different versions of arrows up. palqo and fastone371 like this.